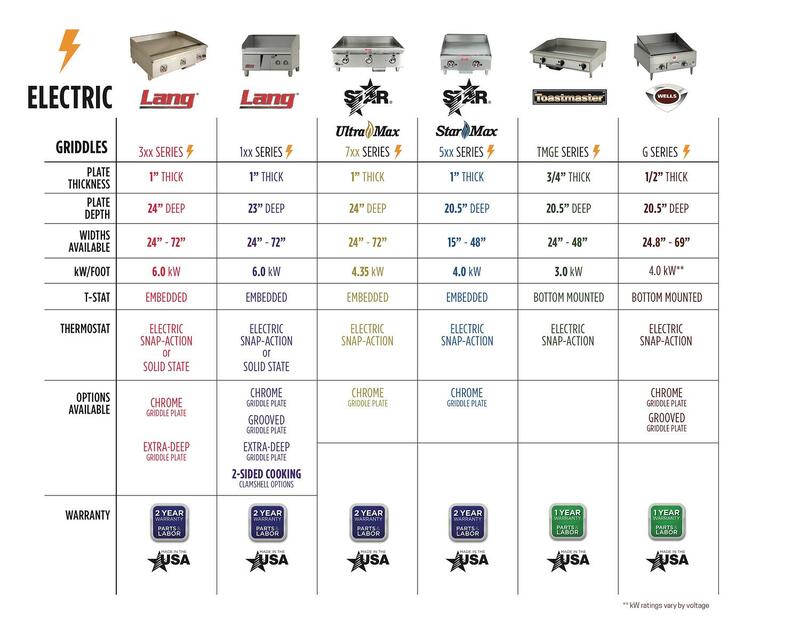 Are you looking to cook multiple menu items on the countertop griddle, or are you planning to cook a single type of item like hamburgers? Are you looking to control temperatures at precise levels as you might need to toast tortillas? Are you looking for a certain period of time to bring your unit up to temp? 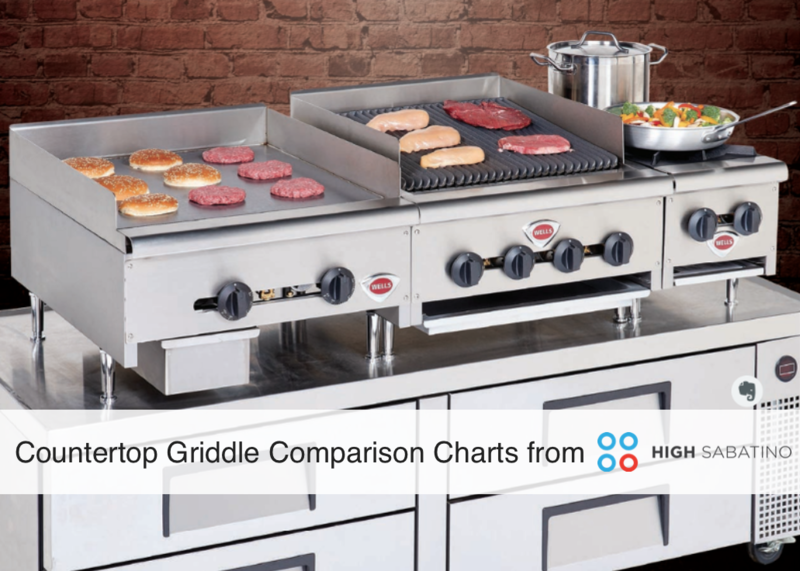 How quickly do you want your griddle to go from one temperature to the next. What about recovery times? This will determine how many BTUs you'll need, which typically range from 27,000 up to 180,00 per burner. Back to the tortilla example above, how precise do you need to keep your temperatures? There are two types of controls -- manual and thermostatic. If you're looking to perform one task such as flip burgers, you'll likely only need basic temperature controls. In this case, a manual control might be the most cost effective option. If you're looking to cook a range of menu items, on the other hand, the precise temperature control that comes with thermostatic options is worth the investment. 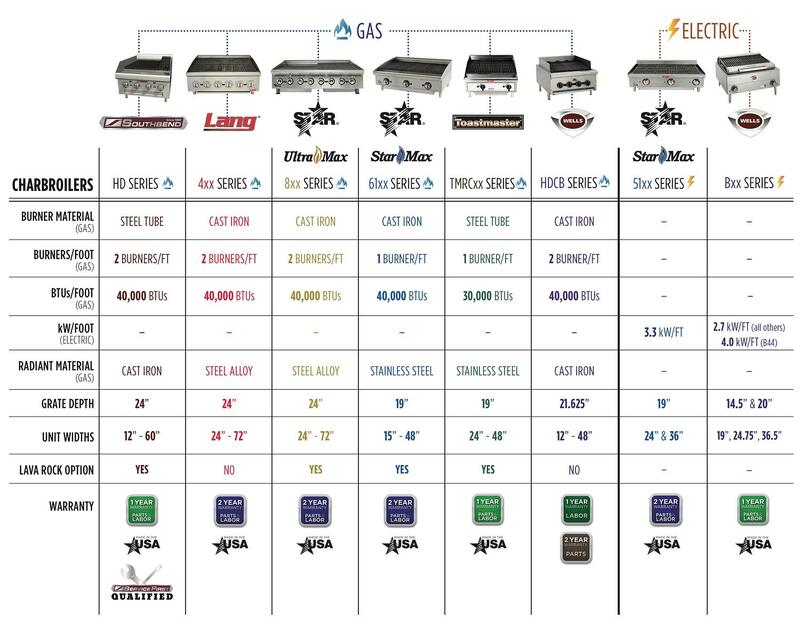 What is your griddle made of as far as metals go, and how thick are those metals? Steel is the most common and most economical choice, but it can add to the ambient heat of your kitchen and requires special cleaning solutions. For front-of-the-house, open kitchens, chrome looks nicer. Nickel is easy to clean, has even heat, and faster recover times. Thickness also plays an important role, with thicker plates providing better recovery times. 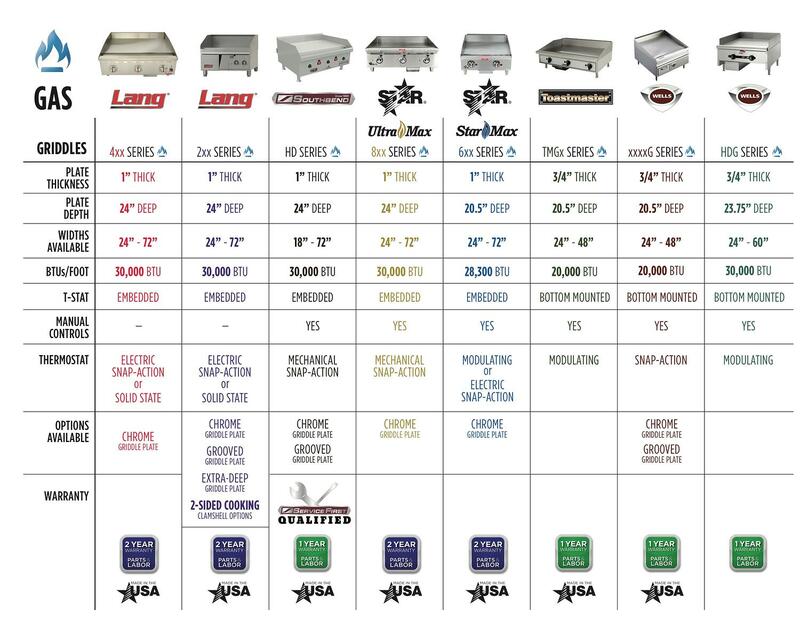 Not every griddle or charbroiler is right for the goals of your Maryland or Virginia foodservice operation.